Considering the fact that online storage auctions have grown in popularity in recent years, it's hardly surprising that technology is offering new ways of bringing online storage units and bidders together. This is related to the developments of Internet technology including the introduction of tablets and smartphones. Internet auction platforms mean people can now bid on auction items from the comfort of their home without having to rummage through cramped storage units. Nowadays, people are well accustomed to scouting out bargains online. Virtual storage auctions are no exception. Moreover, online auctions can often earn twice as much as onsite auctions for sellers. So what are the benefits of an online storage auction for the ordinary buyer? Instead of wasting time and gas on traveling to multiple locations, you just sit on your favorite chair and open up an app or a web browser on your desktop or mobile devices. Everything is a click ot tap away. When the actual process of selecting and buying can be done anywhere, you have more free time to research more units. Storage auctions online allow everyone to quickly browse through many different auctions taking place in a local area and beyond. This provides a great overview of options rather than driving from one unit to another. 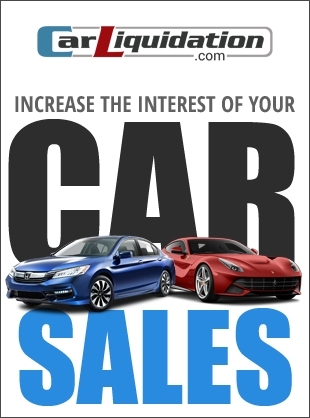 This helps you to save money on gas and avoid wasting time with unsuitable auctions. Auctions of any kind can be a rough and tumble affair. This is especially the case with storage units and garage auctions. A virtual storage auction does away with the need to manually explore the contents of a unit with other people who are vying for the same items. This is especially beneficial for bidders and bargain hunters who are elderly or disabled. Online storage auctions can run for weeks at a time and are open 24/7 until its published end date, allowing bidders to bid at any time of the day. Traditional storage auctions are open for limited hours each day which can be difficult for some people to get to, due to work or family constraints. The virtual auction allows everyone to place their bids while watching their favorite late night show. In the loud excitement of a traditional auction, prices can skyrocket in a blink of an eye as people try to outbid each other. There’s a certain rivalry, or adrenaline rush, when you see fellow bidders face-to-face. An online auction takes away that rush and anxiety, which allows for more calculated bidding over a longer time frame. This means cheaper overall prices and better deals. Online storage auctions can be accessed on multiple devices, which benefits both bidders and sellers because more people can bid.